Because we’re sure you can’t get enough of our scavenger hunt madness, we bring you our Thanksgiving Scavenger Hunt, courtesy of Ray Hintz and StuMinStuff.com! We realize that Thanksgiving isn’t for a while, but make sure to bookmark this one and refer back to it in a few months, or be extra crazy and play the game another time just for kicks. Scavenger hunts can be a tremendous team building activity and an easy way to host a fun afternoon with your group. When you decide to host the event, remember that you will be traveling around and will likely need a few bucks for gas, food and some prizes, but other than that, you are good to go. Over the next 40 days, we will be sharing one scavenger hunt each day, but if you absolutely can’t wait to see them all or want them all in one place, you can download the Kindle version on Amazon! 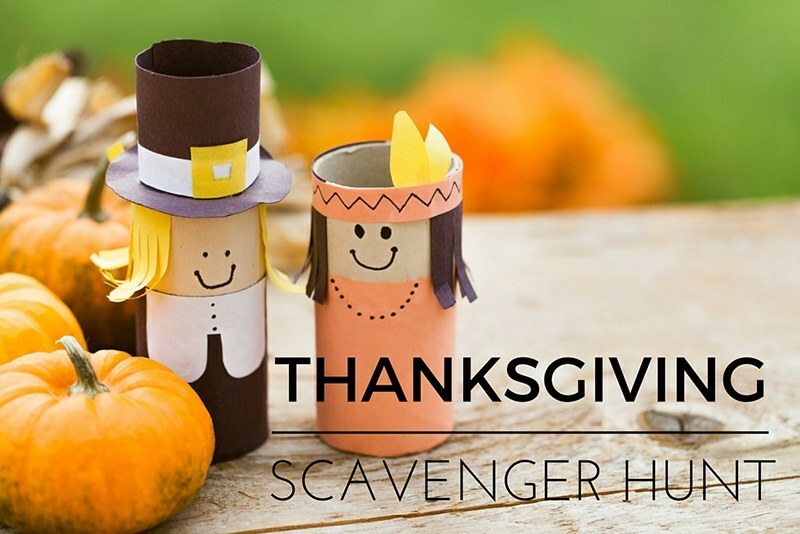 Today, we continue our scavenger hunt list with a Thanksgiving Scavenger Hunt. Print the Thanksgiving Scavenger Hunt before you start. Once your group arrives, take a moment to determine how many teams you will need, separate your group into teams, and assign them drivers. Stay tuned for more Scavenger Hunts. Happy Hunting! 1. Make sure you have your drivers lined up beforehand. Make sure they understand that driving safely is a top priority! 2. Create an excel sheet for the items on the list and a breakout for the score. If you are unable to do so, have someone set it up! This will greatly expedite the tallying process. If you have a large group, have multiple people tallying scores. 3. Bake the winning team a pumpkin pie, hook them up with a free Thanksgiving feast or award them any other Thanksgiving themed prize!